We Buy Houses All Around Marietta And In Any Price Range. See How Our Easy Process Works. We Give You A Fair Offer For Your House And You Walk Away With Cash. Need to sell your Marietta house? We are house buyers who can give you a fair all-cash offer. Stop your frustration with selling your property by letting us buy your GA house now, regardless of the shape that it’s in. Want To Sell Your House Quickly In Marietta? Agents lock you into an agreement that usually lasts 6 months. And they have no guarantees that they will do anything to market or try to sell your house. Many agents just put their listings on the MLS and then wait by their phone. That is not a good marketing system. And you’ll have to keep paying the utilities, taxes and insurance for months until a buyer is found. That’s money that you could be keeping in your own pocket. And don’t forget the high commissions that real estate agents charge. But what’s worse than high fees is how you’ll feel 7 long months from now if you still have not sold your house? You could try to sell it yourself without using a real estate agent. But then you’ll have to find a buyer on your own. And you’ll have to pay for advertising and answer phone calls from strangers and maybe pay for repairs and pay closing costs too. Having to do it all yourself can be like having a second job that you cannot leave. 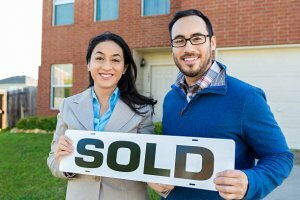 How can you sell your Marietta house fast? Well, first you find a buyer who has enough cash that they don’t even need financing. Frankly, that’s who we are. We are house buyers. We do not list houses. We do not sell houses for other people. We only buy them. We work differently at Spindle Tree Properties, LLC from the other ways of selling your property. You see, we’ll give you something that you can’t get anywhere else. When you call us or send the short form below, we’ll give you a fair offer for your Marietta house within 24 hours – with cash.